Finding or learning to have both meaningful friendships and loving relationships can be both exhilarating and impossible. Make a simple list of times when you found or struggled to find love or deep friendship with someone else. Avoid writing about a broken relationship that still causes you intense pain. Choose one item from your list and freewrite, create a poem, or write a dialogue to share this experience. Try to choose a memory that can take a positive twist or holds an insight for you or others. What do you remember? What happened? What did you feel? Looking back, what did you learn or how did this time change you? What do you know now that you did not know then? One of the healthiest aspects of our lives is our community, the people and groups of people who are important to us. The folks we connect to and the folks who connect to us. The folks who support us and help us when we need them. Make of list of your community or community groups. It could be dear friends, a club, a book club, a church group, a sports or gym group, a yoga class, a happy hour group, whatever group who helps you to be more fully you. Then freewrite about this. What gives you the greatest sense of community in your life? Where do you love to be? Who helps you to have fun, to laugh, to think, and to be the person you need to be. Explore your thoughts on community. Reflect. Later come back and read what you have written and ask yourself—how can I help to enrich “community” in my life and in the lives of others? Is there a community group I want to support more? To learn from? To help? List three turning points or transitions you have faced. Under each experience list three details that made that experience memorable. Choose one of these experiences and write about it for ten minutes. Work to tell what you remember and to pull the vivid details, emotions, and thoughts of this experience into your writing. Later come back and reflect on this writing. If you gained wisdom from this experience, share it. Let your words flow! Research keeps showing us the power of gratitude. To start your day out with joy, spend ten minutes writing (or thinking) about what or who you are thankful for. Explore what happens when your mind embraces an attitude of being grateful. My favorite site for exploring gratitude in depth is http://greatergood.berkeley.edu/topic/gratitude. Enjoy! Often a word pulls thoughts and memories from us. Find a comfortable spot. Choose a word from the list below and begin to write. If you have chosen the wrong word, pick another. If you get stuck, simply write “I am stuck” until your brain kicks in. Write freely for five or more minutes. Then reflect on your writing. What have you discovered or learned? And make a list of new words that you want to explore at a later time. Choose one of these brain circuits and explore this one ability. How does it work in your life? Do you agree that it leads to happiness? Has it led to your happiness? What do you believe is important about this ability? Explain. Writing can help us slow down and experience the moment. when you have no stomach for it. Think of a time or a moment in your life that you value and remember well. What happened? Write about it. Savor it. It is a precious moment to hold. After you write about this experience, think about sending your writing to someone who shared this moment with you. Whether you send it or not, you may want to make a collection of treasured moments. Keep them somewhere special. This may be a gift to give someone in your family or it may be a gift you give yourself to help you write your next story or book. Happy writing. What are you grateful for? What are your personal “silver linings?” Spend a few minutes exploring what you have in your life to appreciate– a person, a pet, an event, a hobby, a job? 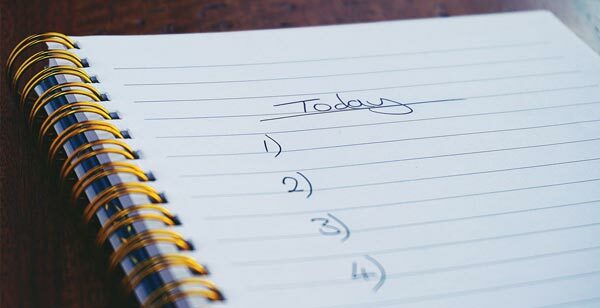 Begin by jotting a simple list. Then free-write on what you are grateful for and why. Afterwards, reflect on your writing. How did it feel? If you are ready, write about a challenge you are facing. Choose one you feel ready to explore. Write about what happened. Write quickly and freely. Share the details you recall. Share your feelings and your thoughts. Now pause and reflect. How can you make this challenge easier to bear? Who could help? What would help? Are there resources available for you to seek out? A friend? A counselor? What possibilities could this challenge hold for you? Work to write and find a way to create a positive path. It can make all the difference. Leonardo studied anatomy, fossils, birds, the heart, flying machines, botany, geology, light – the list is endless. His curiosity was insatiable. What makes you curious? If you could study any subject you have never had a chance to study, what would you learn about? What questions would you ask? Why would you choose this topic and what would you hope to learn? We all learn so differently. Leonardo learned by talking to others and exploring his thoughts in his journal. How about you? Do you learn best by reading? Writing? Doing? Listening to others talk about doing? Explore how you believe you do your best learning. Give examples and explain why you think this method works for you. Our Words Can Be Our Gifts. Years ago I gave my mom a poem. A few weeks before I wrote that poem I had seen Michelangelo’s Pieta sculpture. My response –tears. The beauty of Mary was overpowering. Afterwards I realized that Michelangelo’s Mary reminded me of my own mom, and I began to draft and redraft a poem for my mom. Sentimental, yes, but this was perhaps the best gift I ever gave her. Or anyone. At a time of gifts, I hope you will think about creating a poem or writing a story or giving a meaningful book to someone you love. If you want to find your own words, here are a few prompts to help you write. Rummage through your memories of the significant people in your life. Who are the family members, teachers, friends, or mentors who changed you and continue to inspire you? Make a list. See who surfaces. Explore one individual who matters to you. What gifts have they brought into your life? What have you learned from them? How did they change or influence you? With these thoughts and images in mind, create a collage, a poem, a story, or a letter that you can wrap up, tie with a bow, and give to this person in this season of giving – or give when you are ready to share. • An experience. What experience opened you up and helped you discover or rediscover an ability you might not have explored or known you had? What new ability came from this experience? Dancing? Gardening? Running? Painting? Golfing? Writing? Cooking? Metalworking? Rock-climbing? Explore this. • A limitation. When did you learn you had a limitation? How did you learn this? How did you feel? What came from this experience? • A rejection. When have you experienced rejection? How did you feel? How did you handle this experience? What did you learn? Did it change you? How? • Losses. Have you experienced a loss (a divorce, a death, a move, a retirement) that opened you up to a new aspect of your creativity? How did this happen? What did you learn from this experience? What songs do you love? What phrases capture you from these songs? List a few or choose one from the list below. Then for 5-10 minutes play with this phrase. Imagine it. Depict it or draw it, describe it, and/or write a story or poem about it. Let go and play. Let your words or scribbles flow and see what happens. Near, far, wherever you are–I believe that the heart does go on. That’s life. That’s what all the people say. Whenever you reach for me, I’ll do all that I can. Imagine that there are no countries. What is your hero story? When have you been brave? What happened and what did you learn? When was someone you care about a “hero”? How were they a hero? What happened and how did she overcome her obstacles? Write about a challenge you are facing and how you would like to face or overcome the given obstacles? What can you do to make this the best possible situation?